Is it time again to tame the garden? 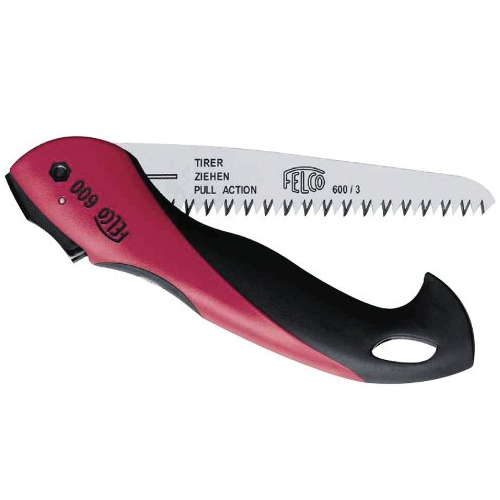 Are you looking for a convenient tool to tackle you pruning and cutting tasks? If so, then you will need a folding hand saw. Folding hand saw is a perfect tool for your yard work. The folding design makes it easy to store and carry. Also great for backpacking, camping, hiking, biking and more. Finally, an all purpose hand saw that is perfect for pruning, camping, hunting, general household use and more. This folding hand saw features rugged 8″ blade and triple-cut, medium razor teeth hardened to stay sharp to ensure smooth, fast sawing. Ergonomic, slip-resistant, comfort grip handle makes it easy to use and control. Lock-in blade prevent collapsing or snapping while cutting or closing for safety. Blade folds fully into handle for easy storage. Make blasting through small and medium branches a breeze with the Corona Razor Tooth Folding Pruning Saw. This tool features 10 inch taper-ground blade that makes quick work of branches up to 5 inches thick. The 3-sided sharpened teeth will stay sharp longer with impluse-harden process. Its ergonomically-designed, co-molded handle allows for comfortable use. Storage is easy thanks to the folding saw design. Perfect tool for faster, cleaner, smoother, easier cutting of green, hard, dead or frozen limbs. 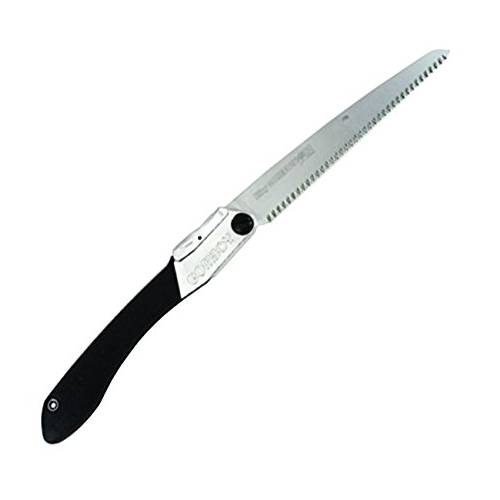 Comfortable and easy to use, the Felco Classic Folding Saw effectively cuts branches up to 4″ in diameter. The rust resistant, hard chromed blade made of high quality steel is thinner on the top and thicker on the bottom to prevent clogging and binding. 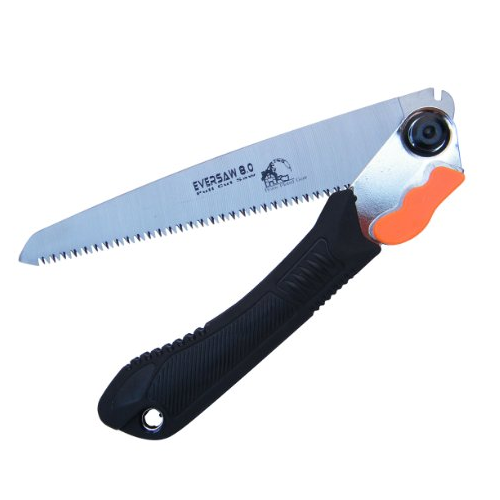 This folding saw features ergonomic handle that is made of non-slip comfort material. 14-inches in overall length with 6-inch blade. weighing 5.5-ounces. 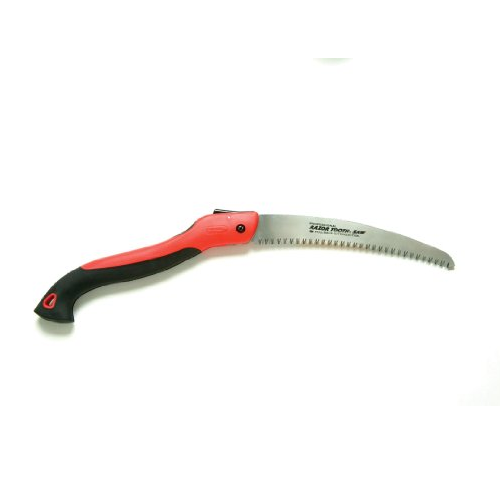 Perfect for professional cutting and gardening, the Tabor T-6 folding hand saw allows you to blast through small and medium branches with ease. 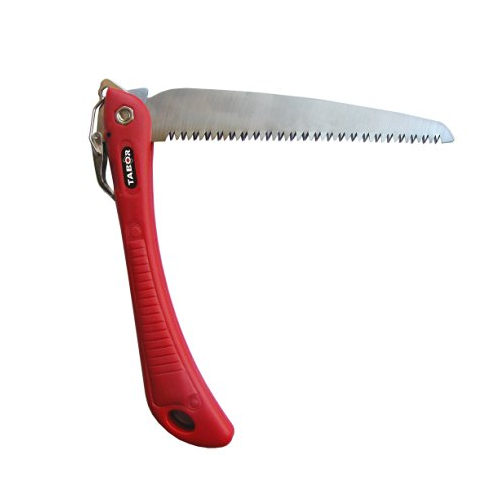 This hand saw features a lightweight design, easy unobtrusive open/close lock with an improved non-slip grip, making your pruning and trimming tasks easier. The 7.5 inch razor tooth folding saw blade is strong. Easy to use, simple to store. 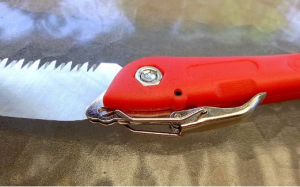 Also perfect for backpackers, campers or anyone who prunes or cuts wood. Your search for the perfect tool for your pruning and trimming tasks is finally over. The Silky Folding Landscaping Hand Saw has aggressive teeth that cut with amazing speed in green or dry wood. It features securely textured rubber-padded handle and reliable spring-loaded blade lock to ensure safe and comfortable sawing. Also includes a clear plastic hinged carrying case for storage and carrying. Makes a great gift.